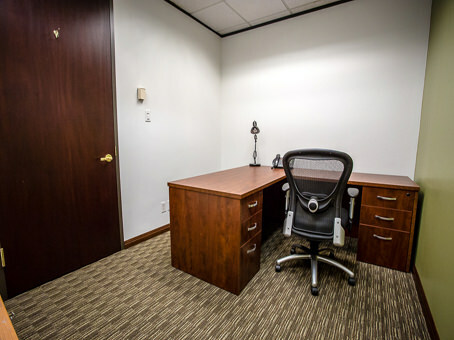 This business space is located at one of the most prestigious and recognized addresses in Austin. 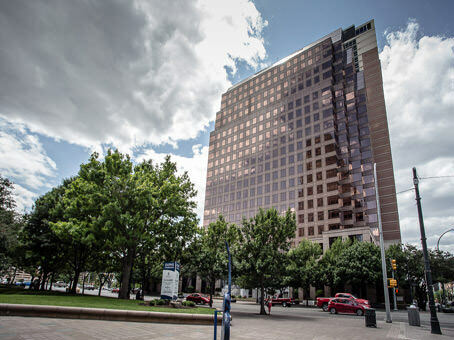 The building itself is a prominent part of the Austin skyline and is located in the heart of downtown. Overlooking beautiful Town Lake, 100 Congress Avenue boasts breathtaking views of the State Capitol building as well as the Texas Hill Country. Located near the prestigious Warehouse District and the 2nd street shopping and dining district, the center is ideally situated for both business and pleasure. Located next door to many of Austin’s finest restaurants such as La Traviata, Sullivan’s Steakhouse, Cantina Laredo, and McCormick and Schmick’s, it is perfectly located for a client luncheon or an after hours cocktail. For entertaining, the center is only a few blocks away from the famous Sixth Street entertainment district which boasts abundant live music venues and ample people-watching opportunities. Close by are the Four Seasons and the Radisson Hotel, while the Hyatt Regency, the Omni, and the renowned Driskill Hotel are just a short walk away. For out-of-town travel, the center is easily accessible from both I-35 and MoPac Expressway, the two major thoroughfares in Austin. Austin-Bergstrom international airport is also just a short drive away. 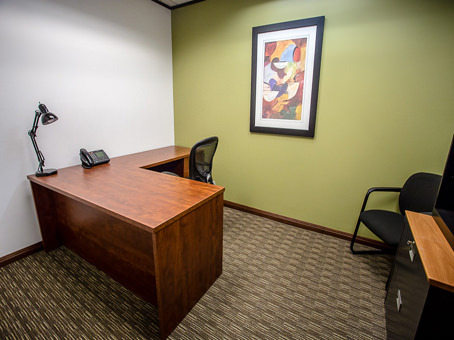 The business center has four beautifully appointed meeting rooms which are fully-equipped with speaker phones, high speed internet, and white boards. Other equipment available for use includes TVs, DVD players, and LCD projectors. 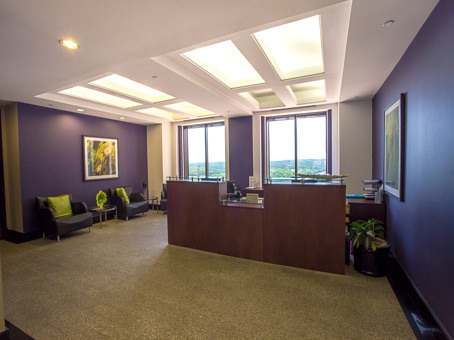 Also located on site is a fully-equipped and staffed Client Services center with a full range of administrative services available including binding, printing, copying, scanning, notary service, and keyboarding. 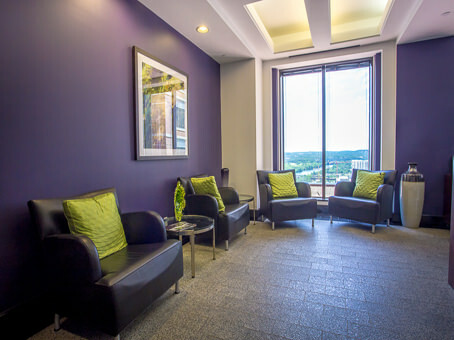 A visitor parking lot is located adjacent to the building for client guests. The building itself hosts an on-site fitness center complete with showers, hot tub, dry and wet saunas, and a state-of-the-art weights room. Also within the building is a full service deli, a bank with ATM services, and dry-cleaning service which will pick up and deliver your dry-cleaning to your office.